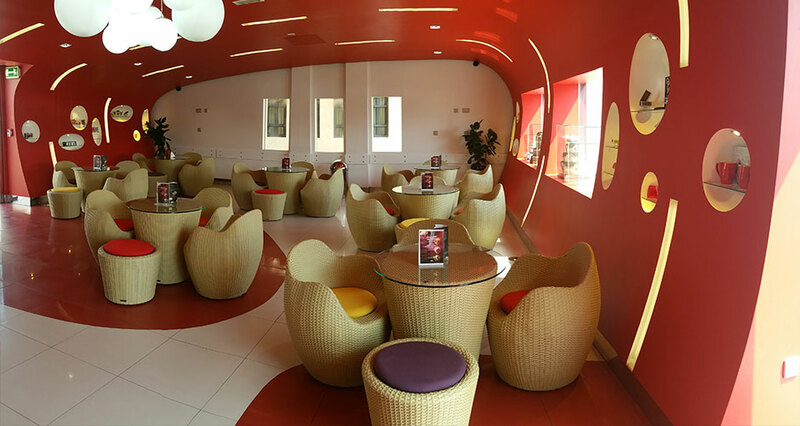 Red Velvet in Doha is a well renowned Cupcakery: simple, elegant, and too scrumptious for words. 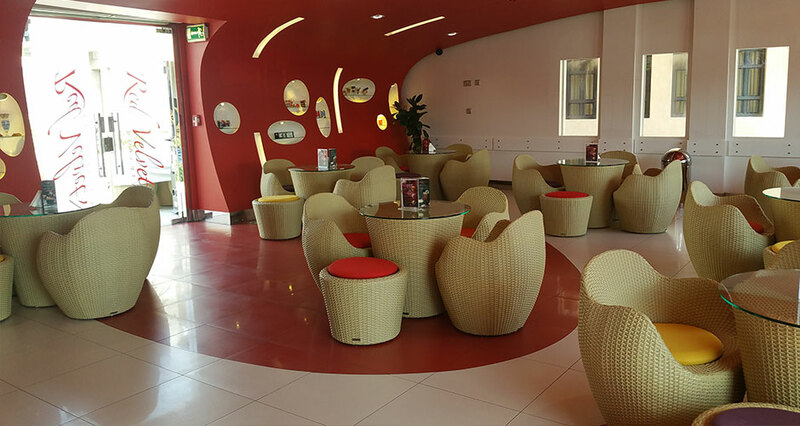 For this special location DFN has developed a capsule collection specifically designed for this project: armchairs, tables, soft and rounded stools complemented by lively, multicolored cushions, to evoke the shape and colors of a cupcake. Our luxury contract division worked closely to the client and developed every stage of this project, from design to the finished product, according to the client’s functional and aesthetic requirements. 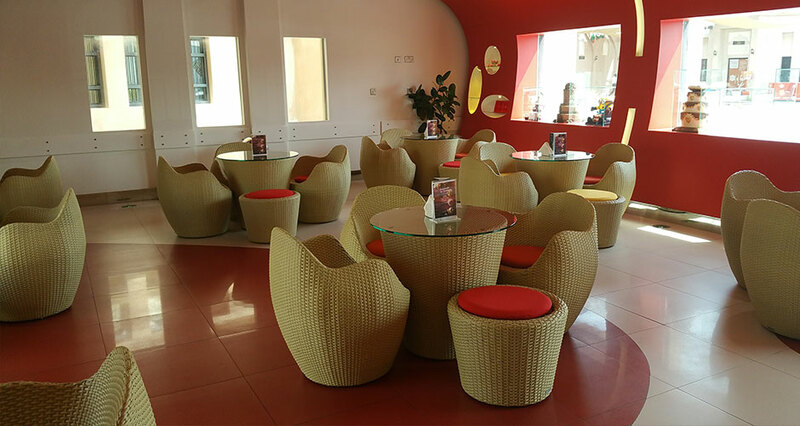 The result is a complete range of custom furniture that perfectly fit with the atmosphere that you can live if you enter into the Red Velvet Cupcakery in Doha.